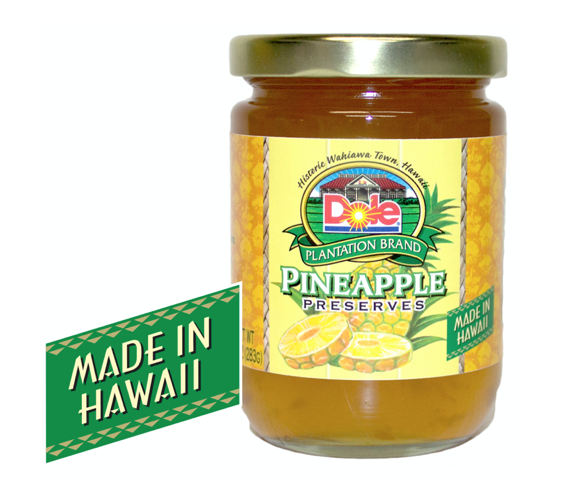 Home / Food / Jams/Preserves / PINEAPPLE PRESERVES 10 OZ. Pineapple lovers rejoice! This is the real deal. 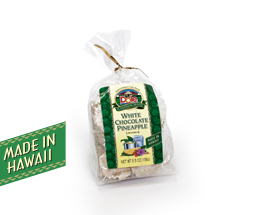 Sweet, delicious, and since it’s made in Hawaii, this has to be the best! Net Weight 10 oz (283g). WHITE CHOCOLATE PINEAPPLE CRUNCH 5.5 OZ. 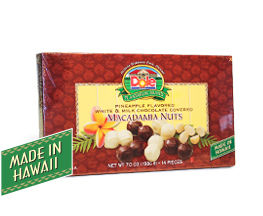 PINEAPPLE FLAVORED WHITE & MILK CHOCOLATE COVERED MACADAMIA NUTS 7 OZ. 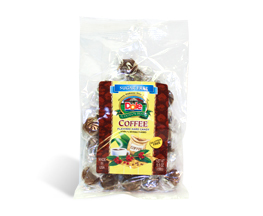 SUGAR FREE COFFEE FLAVORED HARD CANDY 5.5 OZ. Copyright 2017 © DOLE PLANTATION Online Store. Powered by "Webmaster Services Hawaii"
We are open today from 9:30am to 5:30pm. We look forward to seeing you soon!